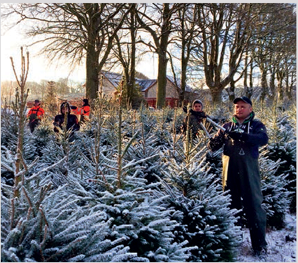 Home • News • Christmas Trees: Real or Fake It? Christmas Trees: Real or Fake It? Brexit is not the only question dividing the nation. Another conundrum is whether to buy a real or artificial Christmas tree this year. 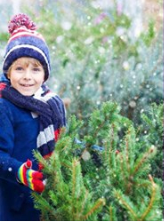 A recent survey by Squire’s Garden Centres showed that 47% of people will choose a real Christmas tree this year, while 53% prefer an artificial tree. Which camp are you in? Squire’s are so confident that their real trees will look great at Christmas that they even have a Christmas tree guarantee! If you’re not happy with the quality of your real Christmas tree then they will replace it free of charge (excludes Norway Spruce). When you get home, unwrap your tree and stand it in the garden to allow the branches to settle. Make a fresh cut across the base before bringing it inside. Use a special stand with a reservoir to hold water. Water your tree or top up the reservoir on a daily basis. Position your tree away from radiators and other heat sources. ‘Pot Grown’ trees can be planted in the garden after Christmas. 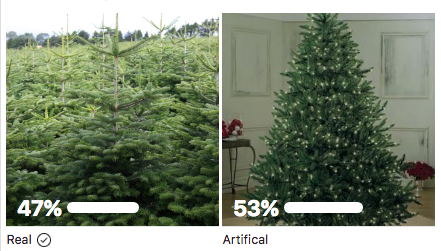 There are so many different styles of artificial trees to choose from now, and they are looking more realistic than ever. Whether you are after a luxurious rich green fir, or a frosty tipped pine, a top quality artificial tree will last for many years, so it’s a great investment, plus there are no needles to hoover up! For quick and easy assembly look for a tree that has hinged rather than hook-in branches. 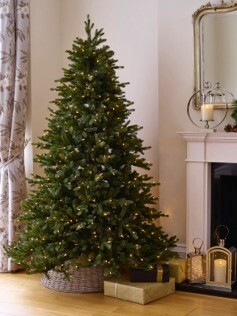 A pre-lit tree is another hassle-free time saver and looks beautiful too.